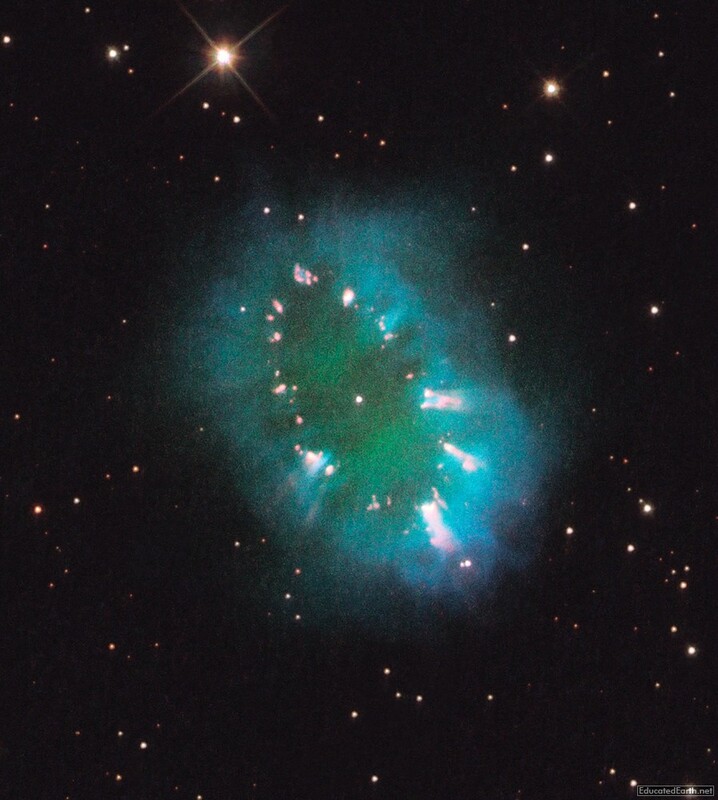 The "Necklace Nebula", also called PN G054.2-03.4, is the exploded aftermath of a giant star that came too close to its Sun-like binary companion. The two stars that produced the Necklace Nebula live in a relatively small orbit about each other. They have a period of 1.2 days and a separation on the order of 5 times the radius of the Sun.